The Skilled Volunteer Meet is an annual networking and ‘speed dating’ event held in October each year. 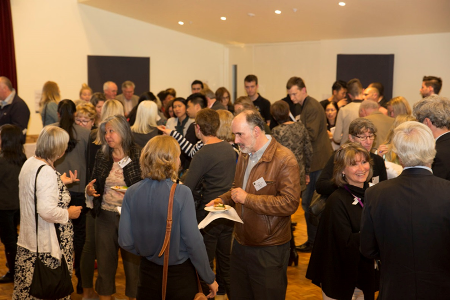 The purpose of the event is to connect professionals with skilled volunteer projects as well as Board and Committee roles with local community organisations. During the night over 30 community organisations pitch their skilled volunteer projects or roles to approx. 100 local professionals. "The Skilled Volunteer Meet - where we met skilled volunteer David - could not have come at a better time for us. In developing our communications and marketing strategy, we identified the need for more high quality images to use in social media and for our new website and marketing material. After delivering a pitch to the professionals in the room, I was approached by photographer David who was keen to offer his skills to meet this need. “Following the event, David and I met a few times to scope out a photographer volunteer role. I also introduced him to each team and service so that he could make contact with them and take photos at a time that was mutually convenient. "The volunteer project has been successful for a number of reasons. Importantly, it has been a win-win as Burke and Beyond now have more great photos to promote the services we provide, and David has increased his professional networks and put his photography skills to good use. "We also developed the volunteer role together which meant that we were clear about the end goal - usable images for marketing material - so that we can better promote Burke and Beyond. We also made sure the role was flexible, so David could take photos of our services in action at a time that suited both services and him." “Through the Skilled Volunteer Meet, we were connected to local professional Ian Wong. 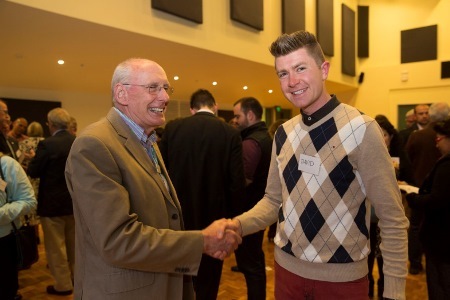 His extensive experience in applying digital capabilities to transform organisations as a partner in a large technology firm was exactly what we needed as we transitioned our Broadband for Seniors program to a new yet similar program called Be Connected.